In our fast-paced society, gardens are constantly evolving. Gardening truly is an artform and has become both functional and decorative. Plants that in the past were only designated for the kitchen, have taken on a completely new role. Flowers for instance, can be used to decorate your home and garden, and on a cake or in a salad. They are tasty as well as beautiful. Herbs and edible plants can also be used in teas, to flavor foods, in cosmetics, and more. Because there are so many benefits to gardening, we enthusiastically recommend it for everyone. Whether you have a large garden and estate, live in an apartment, if you are short on time, or have a small space, there is a garden plan for you. Outdoor Living not only encompasses the garden plants themselves, but also includes how they are incorporated, what type of landscaping is employed and your choice of accents. Backyards are no longer just for a Barbecue grill, but now also include fire pits, and full-sized outdoor cooking spaces complete with stone ovens for outdoor baking. Your yard is an extension of your living space, and it can be decorated and designed with as much detail and planning as the interior of your home. 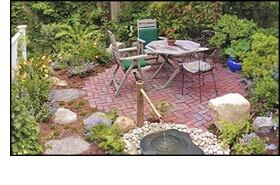 EarthSpirts.net is your one-stop source for information and products on gardening and outdoor living. Our Home Decor area is now overflowing with info and product reviews. We also offer a forum where you can chat with fellow gardeners and outdoor enthusiasts, as well as a free newsletter full of tips and special deals from leading suppliers.